“When you walk through the halls and see smiling faces and cheery greetings, it’s hard to believe that these heroes were on the tail end of an 18-hour shift. During that shift they’ve seen new life and patient breakthroughs … but they’ve also seen trauma, broken bones and heartache. … And yet, they still smile. Genuine smiles,” Ellenbogen Group production manager Amanda Popovich said, noting that it’s proof they love what they do! The Nurse’s Week video premiered at a reception honoring Vassar’s 718 nurses and was well-received with smiles, tears and emotion. All of us at Ellenbogen Creative Media offer a huge ‘Thank you!’ to all nurses for not only saving lives, but for offering the comfort needed during recovery. 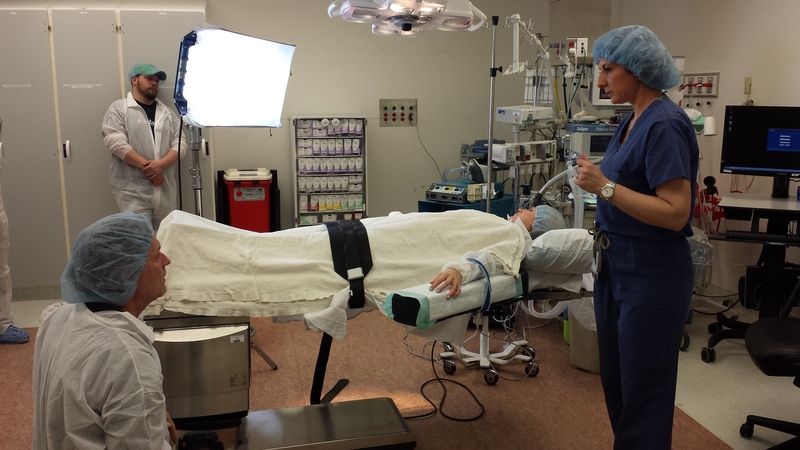 Our crew got a taste of what it’s like to be a nurse in the operating rooms. We had to don full sterile wardrobe coverings, hairnets and booties. 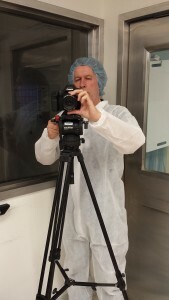 Zoltan David, our director of photography, loved it the most and continues to wear the sterile uniform on all shoots. 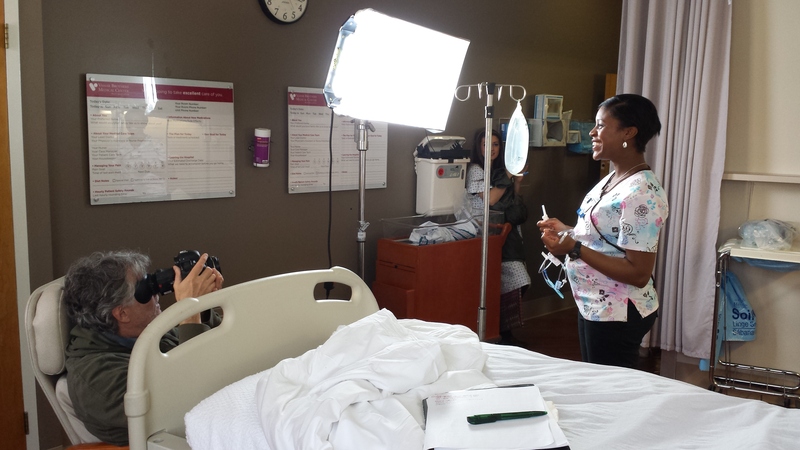 Our crew used full HD gear, a dana dolly, wheelchair, and time-lapse video during the production process. 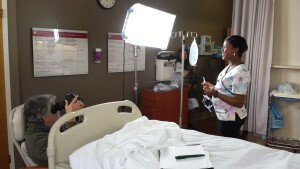 Health Quest was a huge help with scheduling the nurse interviews and working endlessly to secure appropriate empty space to shoot b-roll scenes throughout the campus. A big ‘Thank you!’ to John and his team for being so accommodating! Vassar Brothers Nurses Final from Ellenbogen Creative Media on Vimeo.